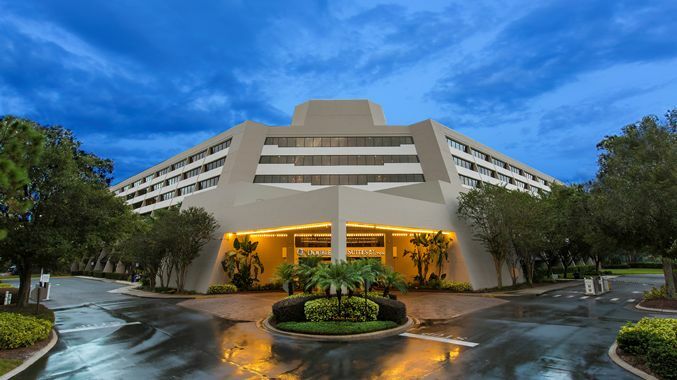 This 3.5-star Hilton hotel is located at 2305 Hotel Plaza Boulevard in Lake Buena Vista. It has 229 guest rooms—including one- and two-bedroom suites. Enjoy a restaurant and two different lounges downstairs. If you’re up for fun in the sun, this hotel also has a swimming pool, a children’s pool and a tennis court. It’s just a 15-minute walk from Disney Springs, 5 miles from Magic Kingdom and just over 5 miles from Disney’s Animal Kingdom.